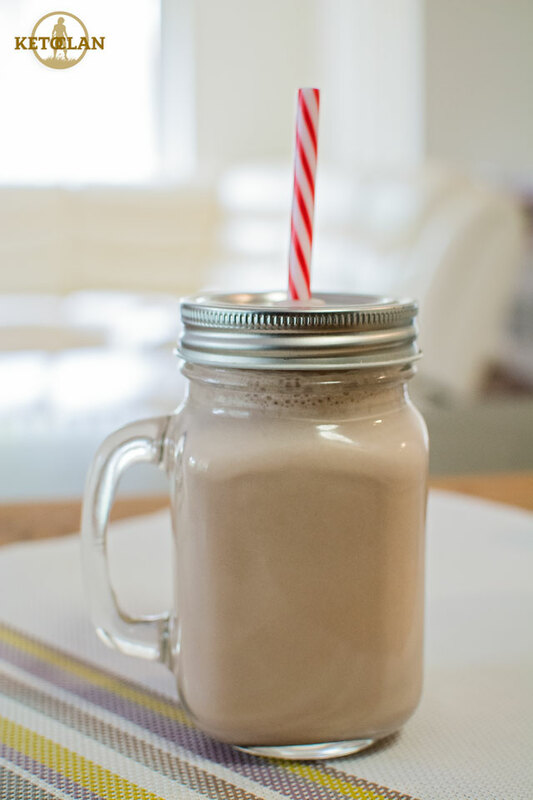 I love having shakes they are so versatile no doubt you will see a few different posts from me with all my favourite blends. 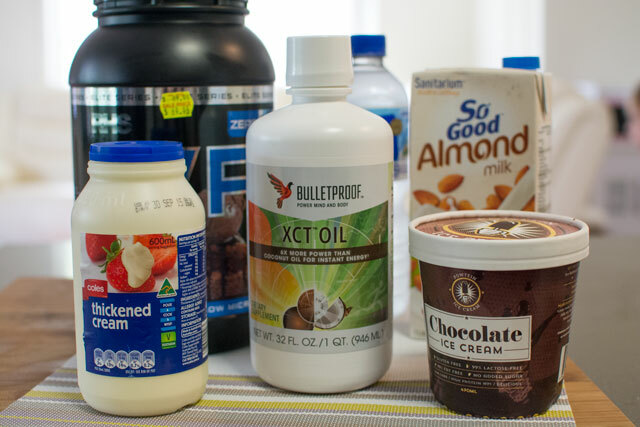 The best thing about shakes is you can literally just use whatever is in the cupboard. 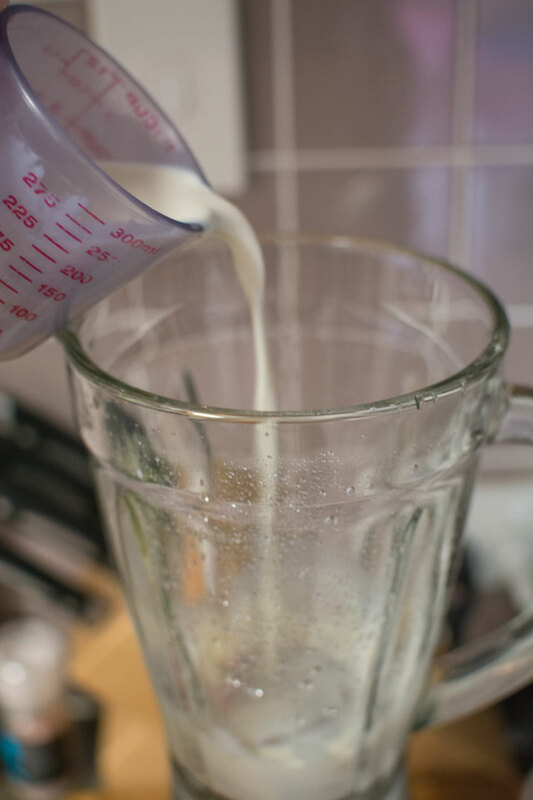 If you don’t like using almond milk you can use coconut milk instead. 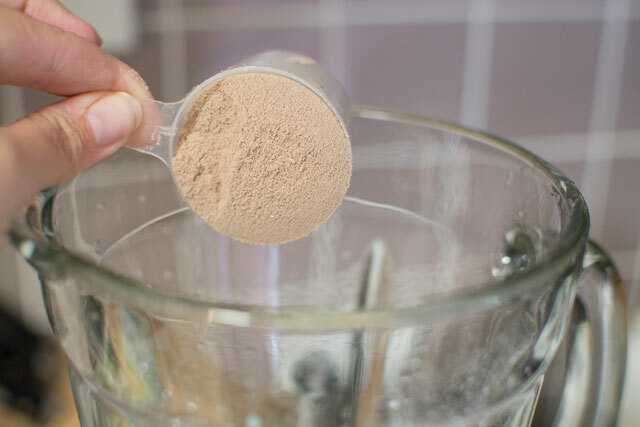 You can use any flavour protein powder. You can also add some berries for extra taste if you like. I find it hard sometimes to get enough protein for my macro’s so having something like this works well for me. If you don’t have any mct oil you can just use coconut oil. 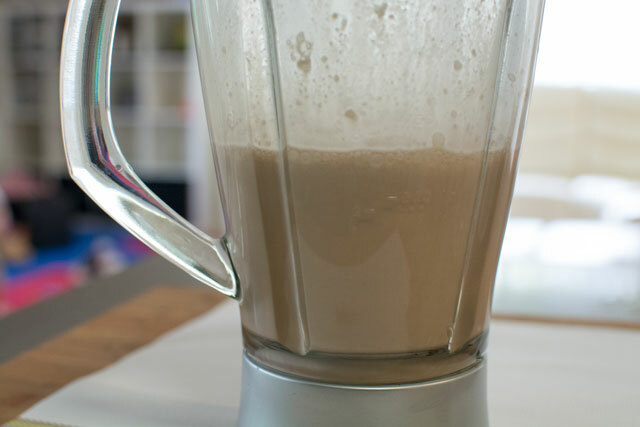 Pour your Almond milk, cream, water, mct oil and ice cream into the blender.